Inside & Outside - The Home Bazaar is an ongoing event at Nature Bazaar. The bazaar started on Thursday, August 23 and is on till Monday, September 3. As you enter Nature Bazaar your eyes are deluged with a spectrum of colours so vivid and intense, it’s like a kaleidoscope bursting and covering every conceivable space with colours. Absolutely stunning crafts and handlooms from every part of India add a touch of festive fervour to this rustic place. 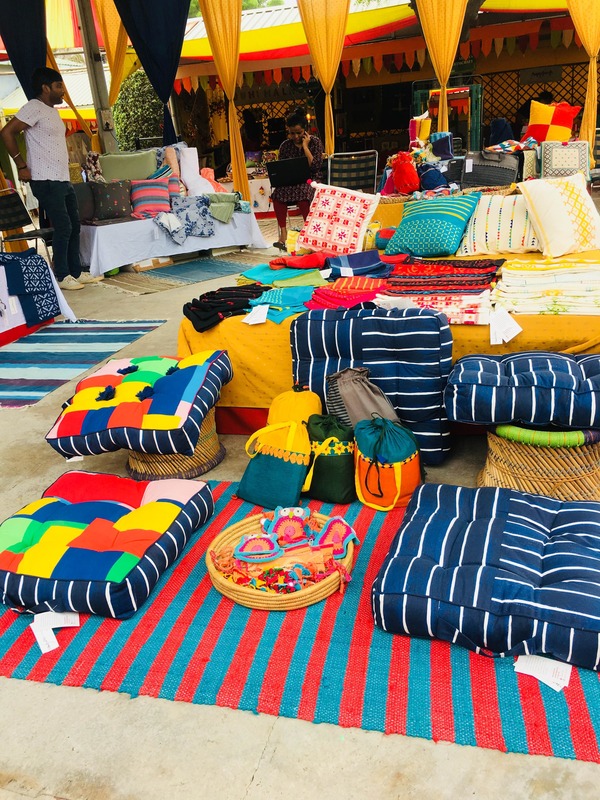 Over 70 crafts groups, NGOs, artisans, and designers are showcasing a multitude of products synonymous with the arts and crafts of our country. They range from home decor, lifestyle accessories and furnishings to plants and planters. I could start listing the amazing range of products exhibited here but it's better if you just hop across to Nature Bazaar, Andheria Modh, Delhi and see it for yourself. You won’t regret it, let me assure you.